Here are a few shots from our weekend! We had a very nice and relaxing weekend at home. Sometimes it is so nice to not have any definite plans in the works and just see where the weekend takes you. On Friday the Mister and I made dinner at home and then headed out for an ice cream date. Something about summer just equals Heath Bar Blizzards in my body. I could eat one everyday! Saturday morning Bethany and I headed downtown with her mom to the first ever City Flea. It was great! 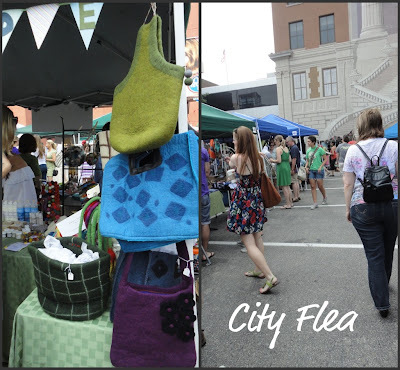 It was a mix of a craft show and flea market. I scored some treats for the Floydster from Boogie Bones and this necklace for me from Stop Traffick Fashion. I love, love, love the necklace! And Floyd, of course, LOVES his new treats. He recommends the cheese and the peanut butter flavored ones. Stop Traffick Fashion's proceeds are used to directly help rehabilitate survivors of human trafficking. Making the jewelry is a healing process and a part of the rehabilitation for the victims. Check out their site for more information and their products! Saturday night we had dinner with Marc and Bethany and Floyd was able to join us. The lovely people at Lucky Dog Grille have a great outdoor space where dogs are more than welcome! They were kind enough to bring Floyd a big bowl of water and treats. And Marc was kind enough to share his last french fry with Floyd. 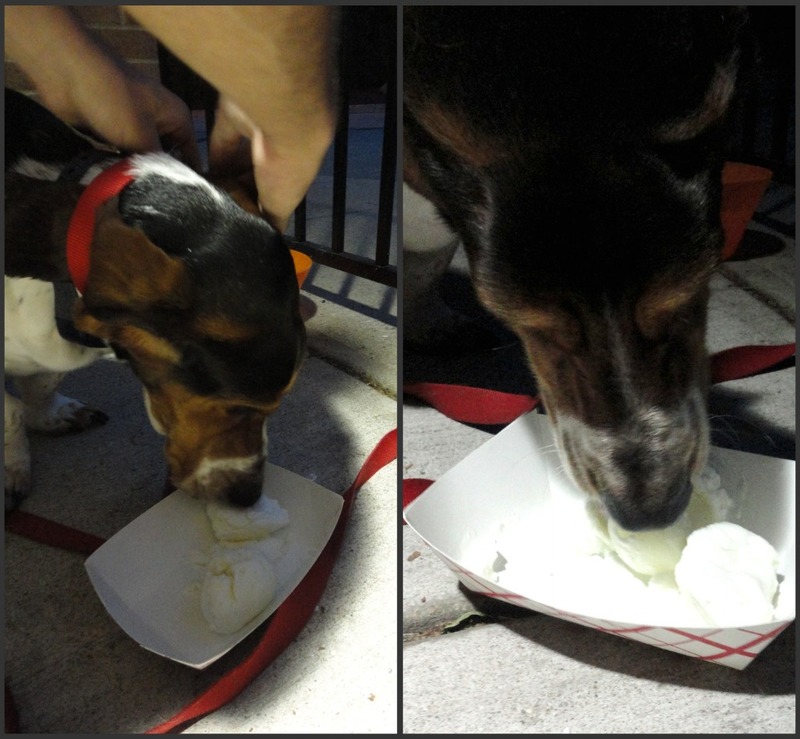 For dessert we ordered Floyd some doggie ice cream (i.e. frozen yogurt). It was really his lucky night because he almost NEVER gets people food (sans peanut butter and cheerios) and he ended up with a french fry and ice cream! A great night in his book! Yes, his ears are tucked in his collar...no one wants frozen yogurt on their ears! Haha, I tuck my beagles's ears sometimes because they like having them out of the way. :) Cute!